Looking for travel tips, hacks, gear, and resources? Here you'll find stories from our adventures, and inspiration for your future travel plans. There’s lots of fun to be had in the water in the Yucatan Peninsula. One of our favorite things to do is swim in a cenote. Cenotes are freshwater ponds which result from the collapse of limestone bedrock exposing groundwater underneath. The word “cenote” comes from the Mayan “ts'onot” which means “cave with water.” Cenotes were sometimes used by the ancient Maya for sacrificial offerings. Cenotes are all over the Yucatán Peninsula of Mexico. In fact, there’s around 6000 cenotes in the area! If you are in Playa del Carmen you don’t have to go too far to find them. There are tons of them along the highway from Playa del Carmen to Tulum. There are some closer to Cancun, others on the way from Tulum to Coba, there are some on the way to Chichen Itza and pretty much everywhere you go to in the Yucatan Peninsula you’ll find one. After living in Playa for a while (back in 2011), going to the beach every day was starting to get a little old. We had to find other things to do on hot days. We soon discovered the riches hidden in the Mayan jungle. Our favorite cenotes, Cenote Azul, Cenote Cristalino, and Cenote Eden, are only 25 minutes away from Playa del Carmen. The three of them are very close from one another. Onece you’re at one you can walk to any of the other two in less than 5 minutes. Cenote Eden is the only one from these three where you need to walk about 10 minutes to get to the cenote from the highway. Take the highway from Playa del Carmen towards Tulum. A few minutes after you pass Puerto Aventuras you’ll see signs on the right side of the road for Cenote Azul, Eden, and Cenote Cristalino. They are right after you pass the Barceló hotel. You can take the colectivo van that goes to Tulum. They leave every few minutes from downtown on 2nd Street North, between 15th and 20th Avenue North. They charge $35 pesos (about $1.80 usd in 2018) per person. All you have to do is tell the driver the name of the cenote you’re going to as you get on. Once you get there, the driver will stop the van. Pay the driver and get ready to enjoy so fresh cool water. You can also arrange a tour to any cenote through your hotel or directly with any touring company in the area. They can arrange all your transportation so you don’t have to worry about anything. Cenote Azul is the first cenote we went to when we lived in Playa and it was our favorite for many years. Entrance is $100 pesos per person ($5.26 usd in 2018). Open daily from 8am to 6pm. They don’t have lockers so you have to watch your stuff, especially on busy days. Being one of the cheapest cenotes in the area it tends to get a little more crowded than Eden and Cristalino. They have bathrooms, changing rooms and a little store where you can buy snacks like chips and cookies. Cristalino is a set of 3 cenotes and a small cave where you can explore deeper waters. This cenote is very well maintained and absolutely beautiful. Entrance is $150 pesos per person ($7.90 usd in 2018). They have lockers, bathrooms, changing rooms, and some simple foods like hamburgers and quesadillas. We love this cenote! When you get here you’re going to feel like you’ve just stepped into the actual Garden of Eden. Entrance is $200 pesos per person ($10.53 usd in 2018). Open Sunday through Friday from 9am to 5pm. Closed on Saturdays. They offer a wider variety of food and drinks. They have a VIP package for $350 pesos ($18.43 usd in 2018) which includes food for one person with “agua fresca”, snorkel equipment, life vest, and locker. Do bring a towel. You’re going to need it when you get out of the cold water! Do bring your own food or snacks. Especially if you have a particular diet. Not many vegan options there. Do bring water too. Swimming, having fun and laying under the sun can quickly dehydrate you. Make sure you have a drink with you in case you can’t buy anything there. Do let the fish give you a nice pedicure! You can pay at a spa for this treatment, but at a cenote you can get it for free! Just put your feel in the water, stay still and let the fish eat the dead skin on your feet. I promise it doesn’t hurt. Do wear only Biodegradable sunscreen. Help protect these beautiful natural bodies of water and the fish living in them by using only biodegradable sunscreen. This goes for any lake, beach, river, or lagoon you visit. Help keep them free of all the chemicals in regular sunscreen. Do bring your snorkeling gear if you don’t want to rent it. Each cenote has its own rules. These are the ones most cenotes have in common. Don’t wear make up, perfumes, regular sunscreen or lotions. Anything you wear on your skin ends up in the water harming the environment of the creatures that live in it. Don’t bring any alcohol. It’s not allowed in any of the cenotes we’ve visited. Don’t smoke. Cenotes are natural areas free of smoke. Respect the environment and avoid getting kicked out. Don’t bring anything expensive like watches, nice shoes, cameras, etc. if you’re not going to be able to watch your belongings at all times. Sometimes you have the option of renting a locker, but that’s not always the case. Don’t leave any trash. Pick up after yourself and help keep cenotes clean for more people to enjoy them. Don’t leave kids unattended. Especially if they don’t know how to swim well. These cenotes may look like pools, but they can get very deep and the rocks tend to be slippery. We hope you can make your way to these cenotes and have an awesome time exploring and relaxing in their clear fresh waters. Check out these gorgeous cenotes in our video! If you have any question about these cenotes or any other cenote in the area let us know in the comments! The Bioluminescent Bay at Mosquito Bay in Vieques, Puerto Rico is one of the most incredible things we’ve ever seen. We took a tour with Bieque Eco Trips and experienced the bioluminescent dinoflagellate filled Mosquito Bay in clear-bottomed kayaks to see the brightest glowing bio bay in the world. There’s lots of fun to be had in the water in the Yucatan Peninsula. One of our favorite things to do is swim in a cenote. In this post, we're going to tell you about the three best cenotes near Playa del Carmen and everything you need to know to plan your visit. Tipping in Mexico can be confusing, but we'll break in down for you in this video. From all-inclusive resorts to restaurants and more, this is everything you need to know about tipping in Mexico. Mexico City: A bustling metropolis built on top of ancient Aztec ruins. Located in the heart of Mexico, where you’ll find history, culture, food, and so much more. These are the seven sights you can’t miss when you visit Mexico City’s Historic District. Don't forget to Pin this post! May Larios García is a Mexican English and Spanish teacher who grew up in a small town in the state of Colima, Mexico. She graduated from the School of Foreign Languages in Colima in 2010. She has been teaching English and Spanish as a Foreign and Second Language since the age of 18. She has worked with students of all ages and hopes to be able to keep helping others learn around the world. May enjoys visiting new places, meeting new people, and she can't wait to show you all the awesome places where Spanish is spoken. When she is not working, you can find her in the kitchen creating vegan recipes, sharing laughs with her friends, or at the closest tiangüis or mercado looking for the freshest produce. Learn Real Spanish, Travel the World. 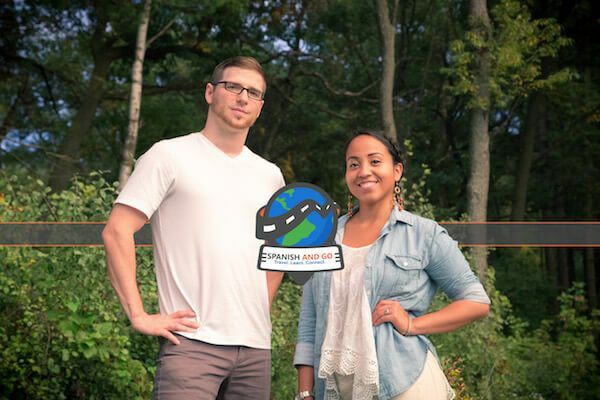 Learn about our story and how Spanish and Go can help you achieve your goals. Learn to speak Spanish and travel the world. 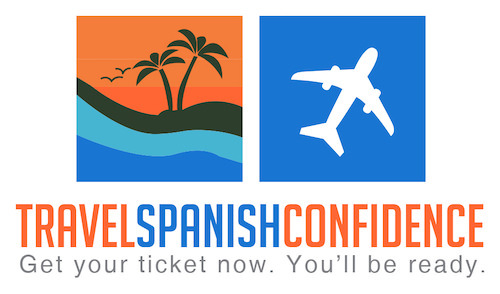 Get travel and Spanish, tips, and tricks delivered directly to your inbox. Download our Spanish Phrase Power Pack with over 150 common Spanish words and phrases for free when you sign up! No spam, ever. Only the good stuff. ¡Gracias! Please check your email to get your free downloads. As an Amazon Associate we earn from qualifying purchases. We also have affiliate partnerships with a number of other companies. At no additional cost to you, we earn a commission if you make a purchase.